TASER FORCE: Neil Rhodes, Chief Constable of Lincolnshire Police, has confirmed that 50 per cent of uniformed officers will be taser-trained by the end of 2017. Photo by Phil Crow. MGJP-08-12-14. EMN-150319-154540001. Half of Lincolnshire’s uniformed police officers will be trained in using tasers by the end of 2017, according to the county’s Police and Crime Commissioner. Coun Marc Jones gave his full backing for plans by Chief Constable Neil Rhodes to make Lincolnshire Police the number one force in England and Wales for having taser-trained officers. A report by Her Majesty’s Inspectorate of Constabulary in February found that Lincolnshire Police used tasers “fairly and appropriately”, despite Home Office figures which showed that the force had the highest usage of such equipment in 2015. Coun Jones said: “Lincolnshire is a large, rural county with the smallest police budget, per head of population, in England and Wales. “Whereas a lot of counties would send two police officers to an incident, we can only send one. 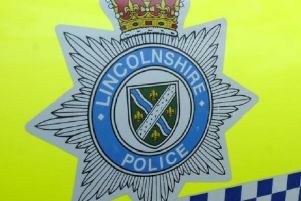 “So for the protection of the public, Lincolnshire has a high taser-carrying police force and the Chief Constable is proud of the fact that he is protecting his officers. FULL BACKING: Coun Marc Jones, Police and Crime Commissioner for Lincolnshire. Photo by David Dawson. Tasers, a stun gun that fires an electrical current to disable a person who is considered a threat, are banned from public use under the 1968 Firearms Act, except for police officers. Last year, Lincolnshire Police recorded 304 uses of taser guns, which range from drawing it when police fear that force may be used against them to firing it at a person and disabling them. In an interview with BBC Radio Lincolnshire’s Melvyn Prior on Monday, Mr Rhodes said: “If police officers are going to be capable guardians of the community then we have to make sure they are properly equipped and properly trained. “For a police officer who is some way away from assistance, a taser can be very helpful for them and for the members of the public they are protecting. The plan to increase the number of police officers trained to use tasers was supported by Coun Jones who said: “Just by pointing a taser at someone has been enough to calm things down and the beauty of its use is the deterrent, rather than the deployment effect.